Armorax exceeded my expectations in almost every category. Because Armorax is still fairly new, we're holding back just a little on reputation. But I wouldn't be surprised to see them contending for a top spots soon. Armorax is shaking things up with its progressive approach to an arguably stagnant home security industry. 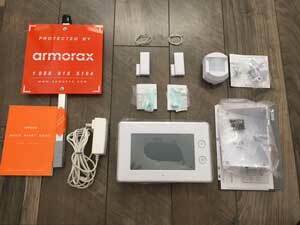 Armorax gives consumers the latest home security technology from Alarm.com, while at the same time providing versatility through a number of monitoring choices, including DIY monitoring, mobile, and professional monitoring. But Armorax also offers a pay-as-you-go monitoring option on top of versatility. The combination of industry-leading equipment and adaptable monitoring agreements makes Armorax worth the look. I’ll tackle what makes this system truly unique as we dive deep into Armorax for this hands-on review. What makes Armorax stand out? Combining equipment versatility with the ability to pay as you go make Armorax a truly unique home security solution. Armorax combines major league equipment with “Do-It-Yourself” versatility and control of customizing your system to your needs. It also allows for scalability, which means you can add on more Alarm.com compatible devices. How much does Armorax cost? Signing a three-year contract gives you upfront equipment discounts, but you’ll pay the same monthly price as you would with the pay-as-you-go option. Something to note: Each plan provides a different type of monitoring coverage, and it gets a little confusing. You get central monitoring with the cheapest (Cover) plan, but no mobile access. If you want mobile access, you’ll need to pay $10 more for the Control plan, which allows for Alarm.com monitoring, but you’ll forfeit the central monitoring station, unless you upgrade to the Complete plan which supports both. Inside your box (which is actually Armorax orange) you’ll find the GC2 Alarm.com control panel, which comes standard, but you can upgrade to the GC3 for a one-time upgrade fee of $120 (I upgraded to the GC3). Armorax only ships the GC2 and GC3 to make sure you have the best, most up-to-date equipment. Accompanying your control panel are two door/window sensors, a motion detector, yard sign, window decals, and necessary mounting accessories. 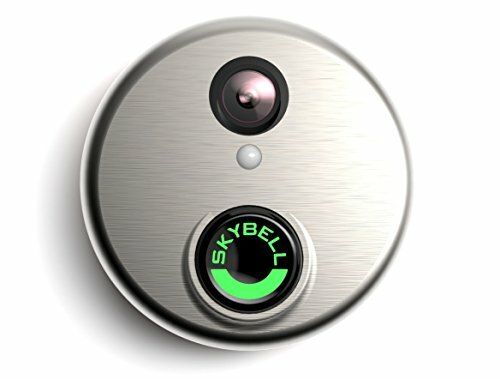 Skybell Video Doorbell lets you monitor your porch from your smartphone and can be integrated into your Armorax system. Video doorbells are a great way to protect the main entrance to your home, as well as monitor package deliveries even when you’re not home. 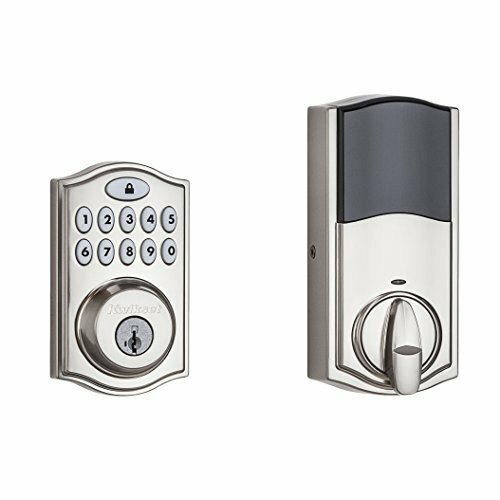 Kwikset SmartCode is an electronic deadbolt that gives you remote access to lock and unlock your home. Kwikset SmartCode uses Z-wave technology to communicate with your Armorax system which can notify you when your door is unlocked. You can program customized user codes for family and friends, so you’ll always know who’s coming and going. Think of the 2GIG-KEY2-345 like a a keyless-entry for your car, only for your house. This key fob lets you arm, disarm, lock, and unlock your home with the touch of a button. It’s much more affordable than a SmartLock, though with some limitations. 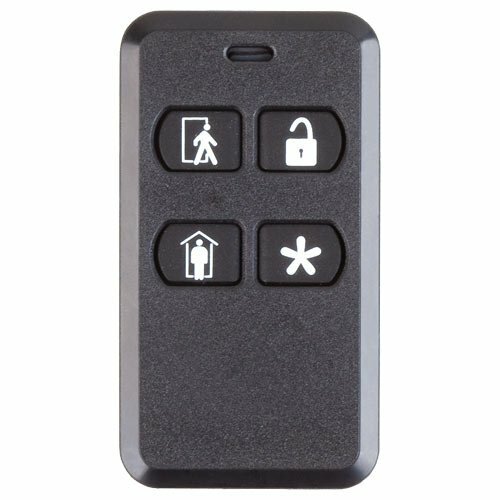 The key fob has a wireless range of up to 350 in open air. Overall, it’s a great, inexpensive option. 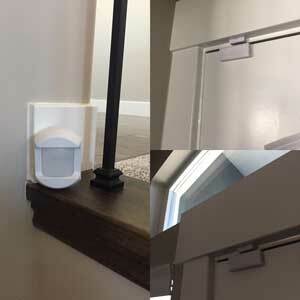 Glass break sensors listen for the sound of breaking glass and trigger your home security system if a window breaks. This 2GIG GB1 integrates with the Armorax, making it a great addition to your system. 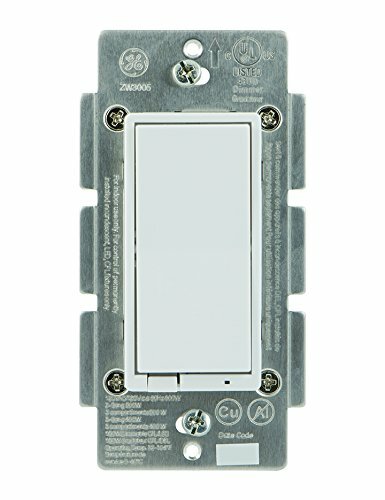 Using Z-wave technology, this Smart Dimmer from GE can boost your home automation game to the next level. Adjust lighting, turn on and off the lights using your smartphone or predetermined setting in your Armorax control panel. Again, make sure to double-check with Armorax before you purchase anything third-party. What stands out to me, and what really makes Armorax worth considering, is the control panel. Armorax provides you with the same control panel used by Link Interactive, and just like Link, allows you to piece together and only pay for the equipment you want. I tested the GC3 and in my opinion it’s worth the extra $120 for the upgrade. The GC3 supports 2GIG devices and is compatible with Z-Wave, so you can add additional equipment from other top brands. And it’s super easy to use. Equipped with a redesigned touchscreen interface, the GC3 screen feels and responds more like an iPad than a security control panel, which makes for a smooth user experience. Armorax comes ready to plug and play. There’s no lengthy setup process for this out-of-the-box security system. I’m somewhat embarrassed to admit that it took me almost five minutes to find where to plug the power cable in—it’s on the back, beneath the removable backplate. The good news is, once I found the plug, the rest of the setup only took another 5 minutes. You can mount the GC3 control panel to the wall if you wish, but it’s designed to let you place it wherever you’d like, so you don’t have to drill holes in your wall. I put mine on my kitchen countertop. 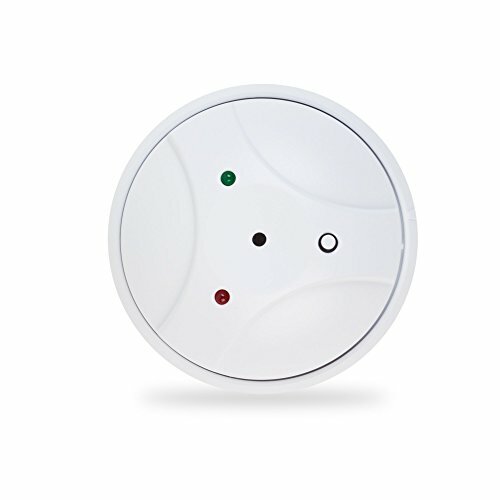 The two door sensors and motion detector connect automatically when you power up your control panel. You don’t have to punch in activation codes for these components to connect to your system (though you will need codes for any additional equipment you add, which can be found in a handy little instruction manual Armorax has provided). 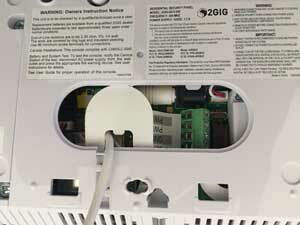 Both the door sensors and motion detector work as advertised. My wife and I particularly love that the GC3 announces “Entry 1,” “motion detected,” etc. when any sensor has been triggered, even when the system is disarmed. This helps us know if my three-year-old daughter goes downstairs and triggers the motion detector or opens the front or garage doors. Depending on the plan you choose, your daily monitoring experience can change drastically. 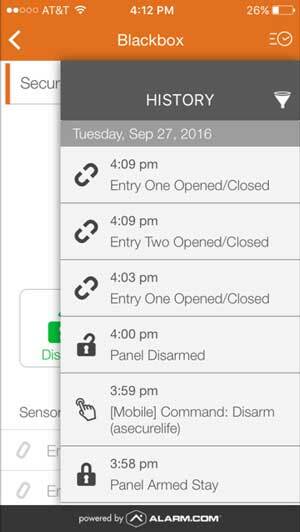 With the Cover and Complete plans, Armorax’s central monitoring station will alert you to any system triggers via email or phone. Armorax’s response time was less than two minutes when I deliberately triggered the alarm. The monitoring agent asked me questions about my home, what triggered the alarm, made sure there was no need to contact or send out police, and was very respectful. I came away feeling very positive about my experience. If you are looking to use Armorax as a professionally monitored system, you won’t be disappointed. Having the option to monitor the system yourself for no monthly fee is part of what makes Armorax so appealing. If you prefer the DIY route, you’ll have two options with Armorax. You can save on monthly fees and monitor your system through your desktop and via email alerts (this will not alert a central monitoring station or authorities if your alarm is triggered) or you can pay $29.95 per month for the Control plan, which gives you mobile access to your system through the Alarm.com app. Monitoring your system yourself is more difficult because, in many cases, you cannot respond as quickly as a central monitoring center. However, with the Alarm.com apps, you’ll receive instant notifications of activity, have the ability to check system history, activate and deactivate your system remotely, and control any home automation devices you add with your GC3 control panel. I couldn’t be happier with my experience using the Alarm.com app. I found it to be well designed, easily navigable, and the geofencing feature was extremely helpful when I forgot to arm the system before leaving the house: It registered the GPS signal on my cellphone as being away from home and sent me a reminder to arm my system. In my opinion, it’s worth it to spring a little extra for access to the app. You’ll hear the alarm, and so will your neighbors. I love that the GC3 control panel produces an earsplitting alarm when a sensor is triggered while the system is activated. It’s loud, which means if an intruder doesn’t take off right away, they’re more likely to attract attention from friends or neighbors. Armorax receives overwhelmingly positive reviews for its customer service and flexible monitoring options. On the equipment side, Armorax compatibility with other Z-Wave and 2GIG devices caters to users who want to customize their system. As for customer service, Armorax uses prompt response time and accessibility to build its reputation for excellence. Most negative reviews come from delivery delays or untimely upgrades for the release of the GC3 control panel. Absolutely! I’m impressed by Armorax’s ability to cater to every kind of security need with such a simple product. If you’re a DIYer, you should consider it. If you don’t like extended contract commitments, you should consider it. If you’re looking for a heavy-duty security system with excellent customer service, you should definitely consider Armorax. The combination of industry-leading equipment and adaptable monitoring agreements makes Armorax perhaps the most formidable hybrid security system available to date.